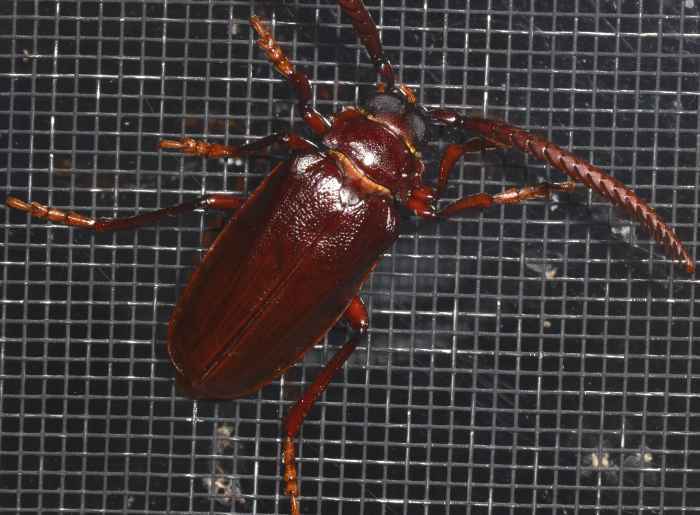 Prionus imbricornis (?) (Tile-horned Prionus). Size: approx. 40 mm. Photo: 06/16/12, 11 pm. This very big and impressive beetle is probably Prionus imbricornis.